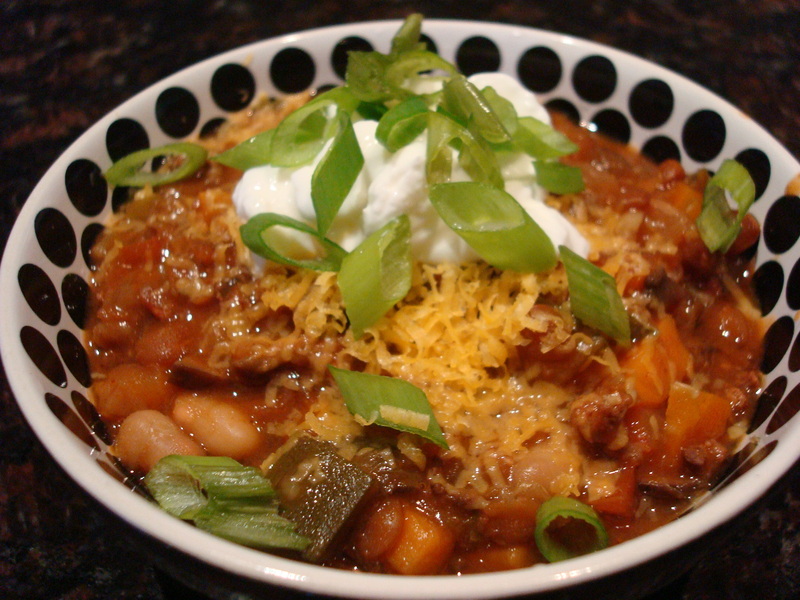 A low fat and low carb chili for everyone enjoy even if you are on a restricted diet. This is great just on its own, or topped on a potato, slathered all over some french fries, or over some corn chips. Most chili recipes call for some type of ground meat, beans, and tomato as the base ingredients. Here I have cut out most of the meat, leaving only a quarter pound of lean ground chicken. If you are a vegetarian, the meat can be completely omitted. 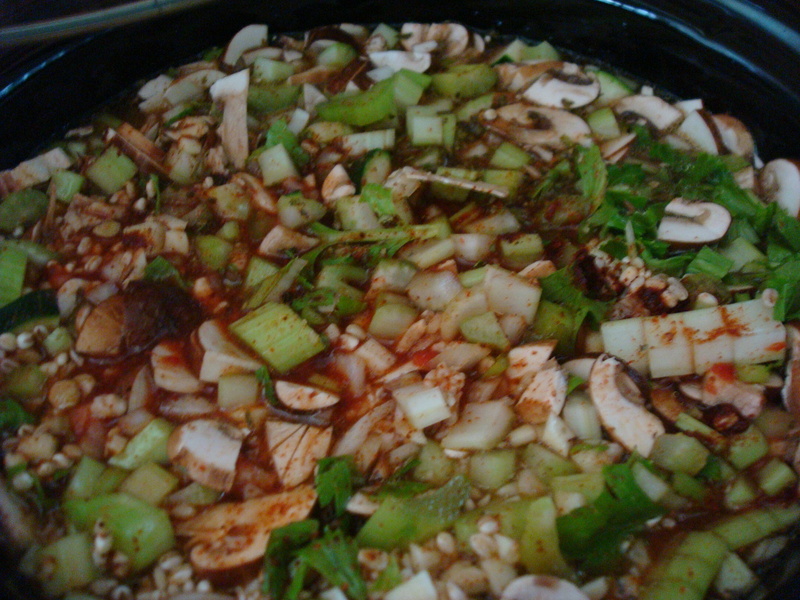 The out come was a thick hearty chili that is spoon after spoon of comfort. I was good eating this in the 90+ degree LA weather, I just can’t wait to make this in the winter again. 1. Do all the dicing and mincing, this will take some time or you can employ your minions to do if for you and set them all aside in a large bowl. 3. Toss everything into the slow cooker along with the chicken stock ( or vegetable stock) until it just reaches the top, set it on high then walk away. 4. This usually takes a good 6 hour, but I just set mine up over night and its ready to eat by morning. You can also set it up in the morning and it will be ready for dinner. Yes, it is a lot of ingredients that is why I call it “Everything but the kitchen sink”. Trust me that this is a damn good chili, just as good as any of the all meat types you can find out there. If you do not have a slow cooker, I recommend cooking the lentils first and then cook on low heat with frequent stirring. It’s time I start paying attention to my carb intake, this chili looks super tasty! As soon as the weather cools down, I am trying this…. until then, salads, salads, salads! See you in 36 hours! Cocky Mixtures It's STIRRED not shaken!